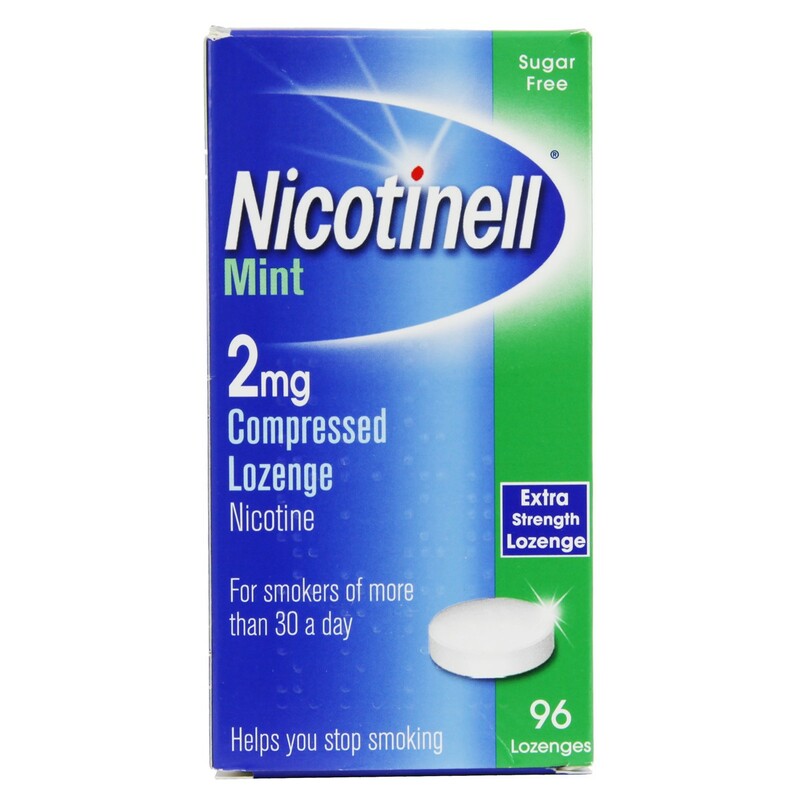 Nicotinell mint flavoured lozenge provides an effective aid to combat the unpleasant withdrawal symptoms caused by giving up smoking. The 2mg lozenge is for use by smokers with a strong nicotine dependency (e.g. those smoking more than 30 cigarettes per day) and for those who have previously failed to stop smoking with the lower strength product. Always read the label and follow instructions for the best results.Do not exceed the stated dose. This is a medicine.Consult your doctor or pharmacist if you have an underlying medical condition, are taking any other medication or complementary therapy, or if symptoms persist.Seek advice before using if you are breast feeding, pregnant, planning to become pregnant, or suffer from allergies.Keep all medicines out of the reach of children. Thank you for your interest in Nicotinell Lozenges Mint 2mg. Enter your email and we'll contact you as soon as it's available again.